Employee of the Month. Yesenia has been employed at Pacific Gardens for almost 14 years and is a great team player, always willing to help in different areas when needed. 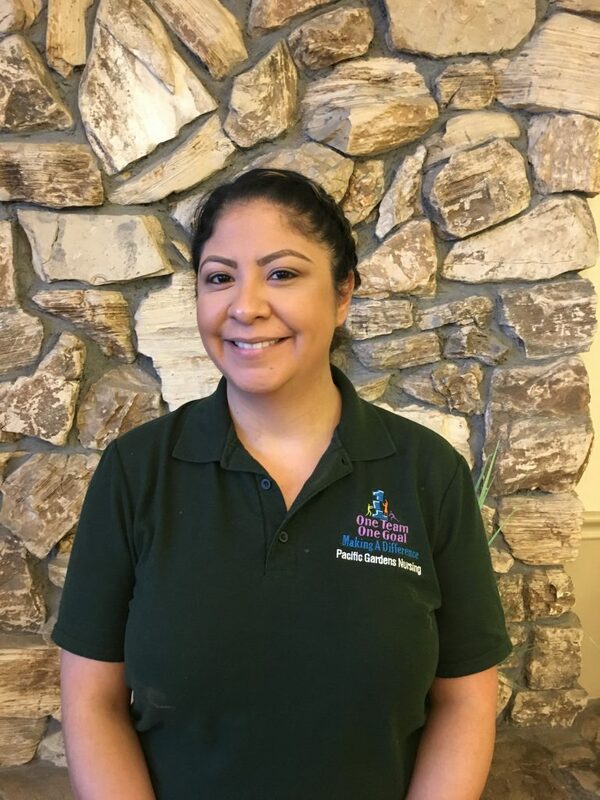 Yesenia is friendly and can be counted on to greet everyone with a big smile. Congratulations Yesenia on a job well deserved! Congratulations March Give Me 5 Winner!